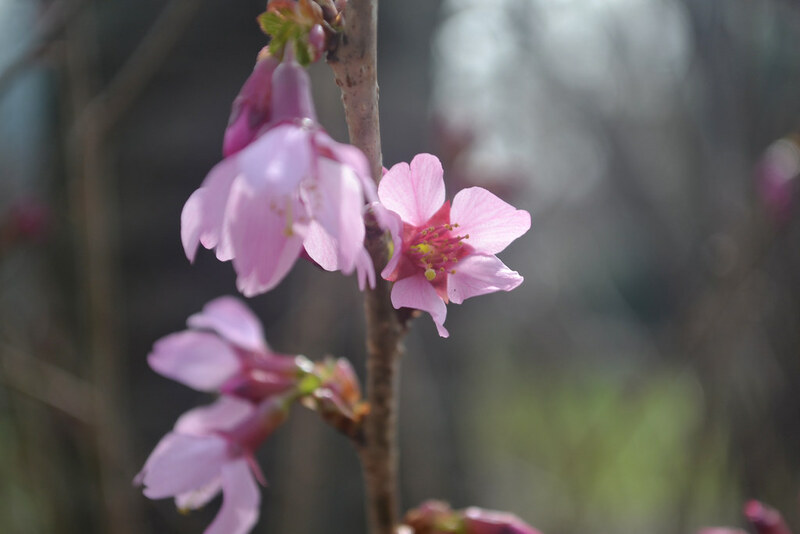 Cherry trees are among the best-known plants at Brooklyn Botanic Garden, and their blossoms are a beloved herald of spring. But other trees flower at this time, many just as spectacularly. 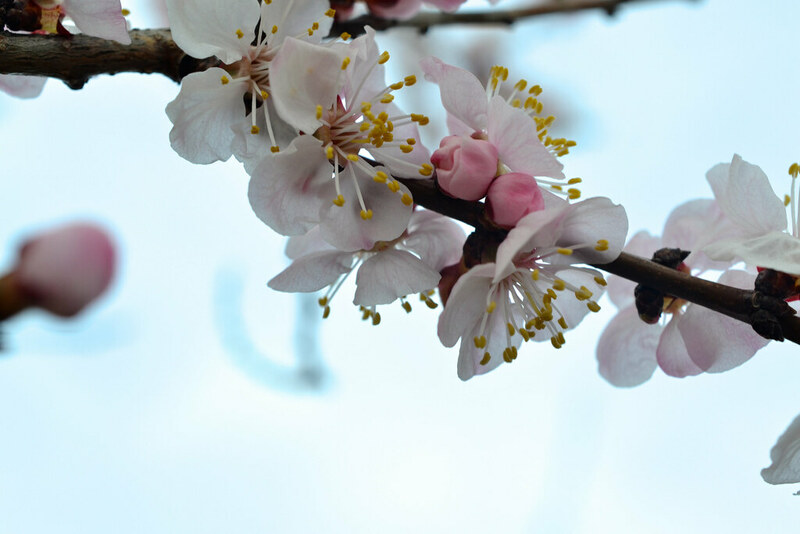 Get to know some of the other spring-flowering trees at the Garden—and learn to tell them apart from cherries. Magnolias emerge from thick, hairy bud scales that protect them through the winter. The flowers are actually produced in autumn, which is why they’re able to bloom so early in spring. 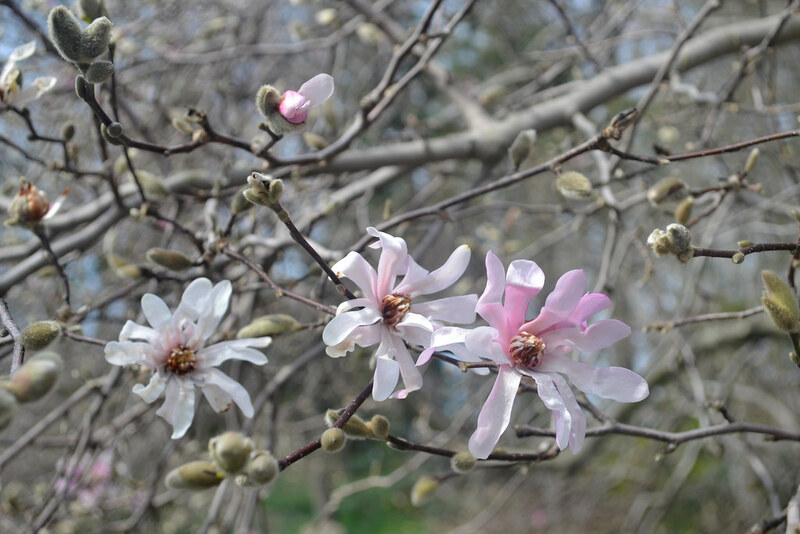 Early-blooming magnolias appear along with the earliest cherries, and because many blossoms are pink or white, people sometimes mistake them for cherries. However, the two are easy to tell apart. The fleshy tepals (a modified sepal, rather than true petal) of magnolia blossoms look quite different from the delicate petals of cherries, and the flowers themselves are much bigger. Most of the hybrids on Magnolia Plaza have flowers that are four to five inches in diameter, while cherry blossoms are about an inch or two across. A few more distinguishing clues: Magnolia bark has vertical fissures, unlike cherry bark, which has horizontal ones. You’ll also often see open husks at the foot of magnolia trees after the flowers have bloomed. And of course, at the Garden, trees and other plants are labeled with their common and botanical names. Prunus is a large genus that contains cherries and many other well-known stone fruits, including peaches, apricots, nectarines, almonds, and plums. Some Prunus species have inconspicuous flowers or more shrublike forms, but others are bred for ornamental value, much like cherries. 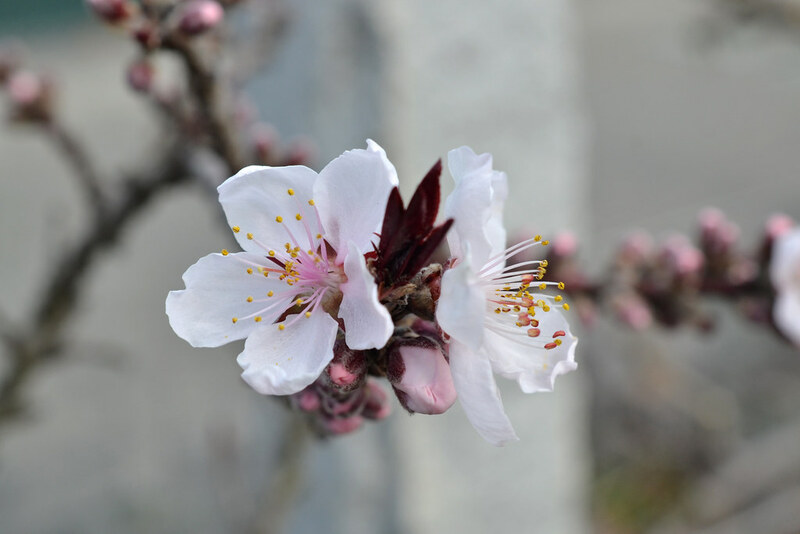 Apricots (Prunus armeniaca), peaches (P. persica), and nectarines (also P. persica) have showy spring blossoms that all resemble cherries. They may be white or pink, depending on the cultivar or hybrid. There are specimens in the Herb Garden, the Plant Family Collection, and elsewhere in the Garden. Crabapples (Malus species) and pears (Pyrus species) flower along with the later cherry species and also have blossoms very similar to those of cherries. (All are members of the Rosaceae, or rose family.) One way to distinguish them is to look at the bark: crabapples and pears have pale bark with vertical fissures. 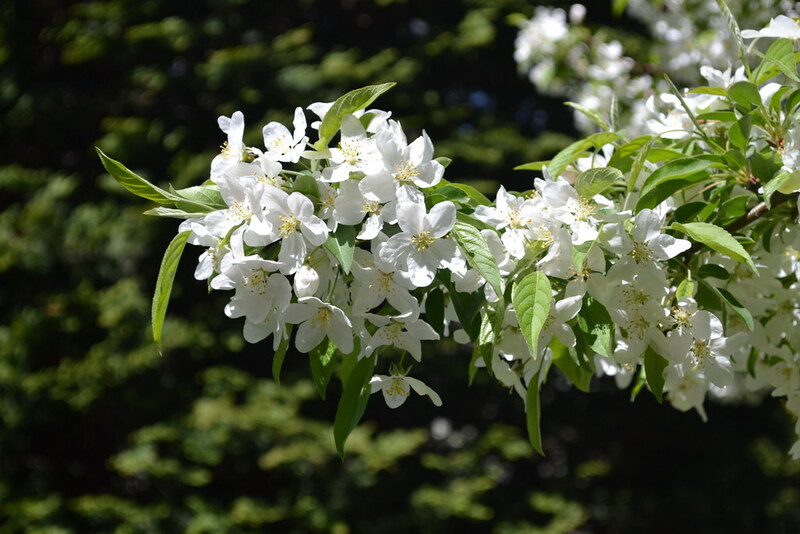 If you have a botanist’s eye for detail, you’ll also see differences in the flowers’ female parts: Cherries have a single style, while crabapple flowers have five. Brooklyn Botanic Garden has a lovely selection of Malus cultivars, many in the Osborne Garden, and there are pears in the Herb Garden and elsewhere. If you can, visit often during the spring season to see the progression of blooms and learn how to spot these differences. Then see if you can distinguish among the flowering trees you encounter when they don't have labels. Elizabeth Peters is the director of Digital and Print Media at BBG. Magnolia x loebneri 'Leonard Messel' blooming on Magnolia Plaza. Photo by Blanca Begert. Prunus 'Okame' (Japanese flowering cherry cultivar) in bloom in the Plant Family Collection. Photo by Blanca Begert. Prunus armeniaca 'Moongold' (apricot) at the entrance to the Herb Garden. Photo by Blanca Begert. Prunus persica 'Bonfire' (peach) in the Herb Garden. Photo by Blanca Begert.